This is the underpainting in burnt sienna. About an hour or so in. I'm working on gessoed water color paper. 2 1/2 hours. Don't want to overwork but I'll most likely go in and fix the ear but not much else. This is a gesture paint painting that studio student Melissa Yi did during our summer workshop. She's been in the studio for the past year and a half with one on the passes I sell that let's the student attend every class I give. She's a fantastic artist and is headed to college. She'll be missed on the studio! 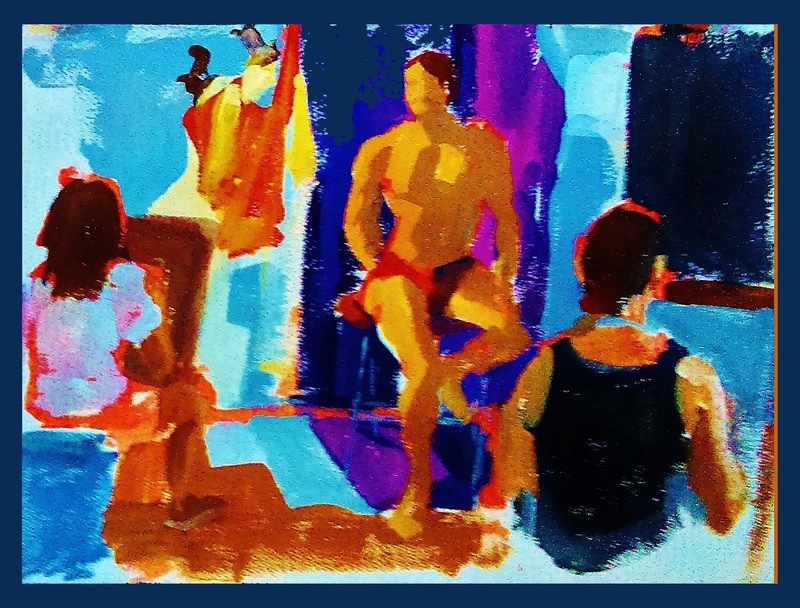 For info on the classes here Summer Life Drawing Workshops.